"Excellent watch from an excellent dealer"
Verified Owner Comments: I am very happy with my watch. It does not wear as large as some other's have mentioned. But it is a heavy piece, largely due to the almost overengineered case. I think it would withstand being run over by a truck without blinking. This is first and foremost a tool watch. If bling is your thing you'd be better served elsewhere. But if you appreciate when detail serves function then this is the watch for you. 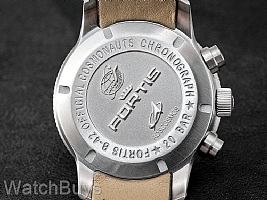 Verified Owner Comments: This is my second Fortis. I have a hard time referring to this as a watch. 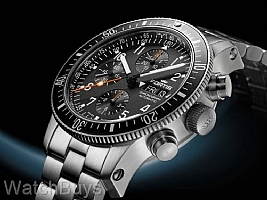 It's really a heavy duty, well engineered, mechanical time keeping instrument. 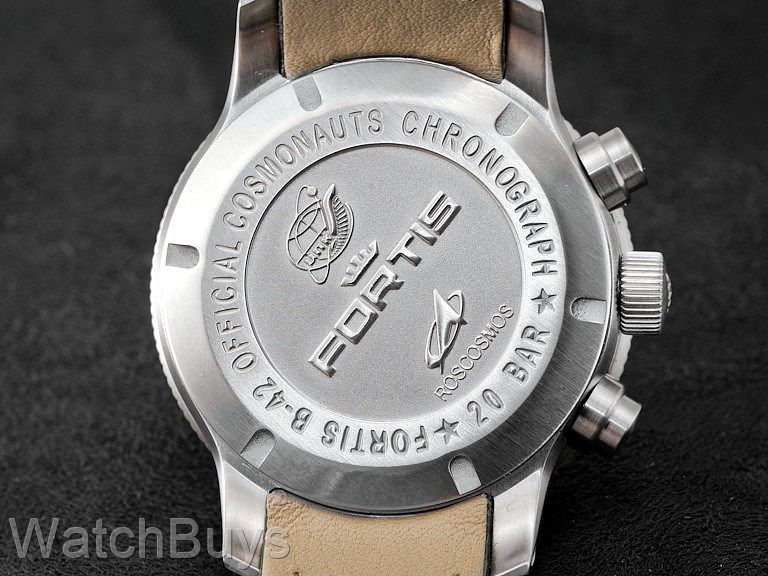 Every aspect of this Fortis Cosmonautis is exceptional in every way. It's a little thicker than I usually prefer, but this watch is all about durability and endurance, so the dimensions seem very appropriate. Really love this watch, and thrilled with Watch Buys. "A solid and hefty tool watch"
Verified Owner Comments: My first Fortis and I am extremely pleased with this piece. Very robust, accurate to within +2 sec per day and for a large chrono, very comfortable with the metal bracelet. The structure of the case makes for a very secure fit and feeling on the wrist. My first and definitely not my last Fortis.